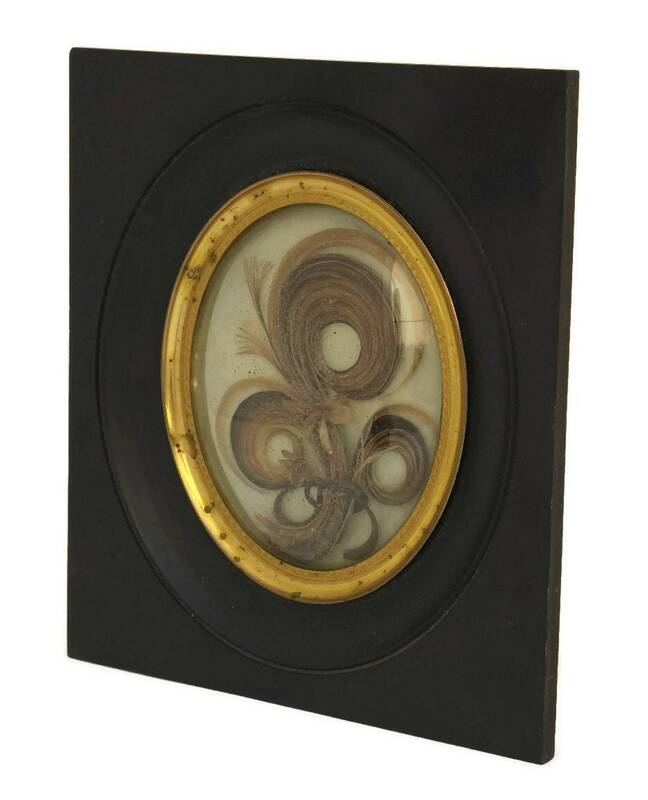 Victorian Hair Art in Frame. 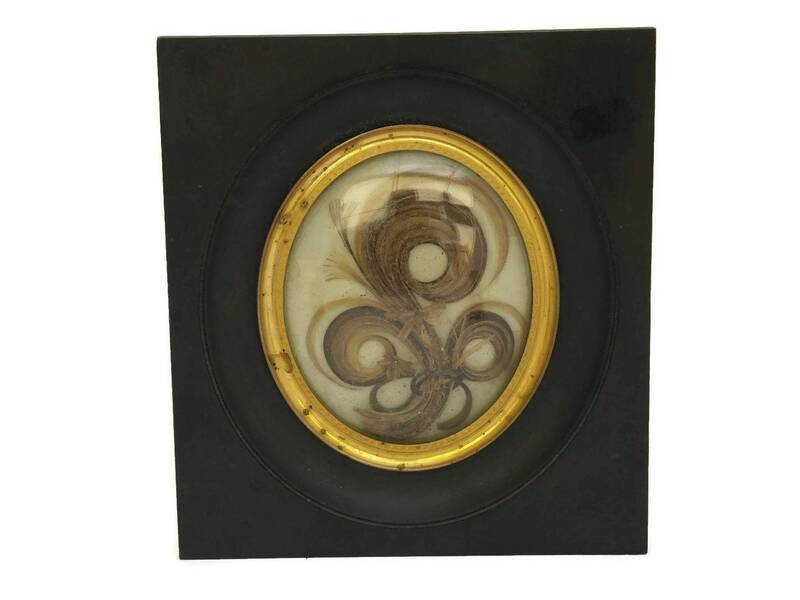 A beautiful 19th Century French antique hair art mourning relic. 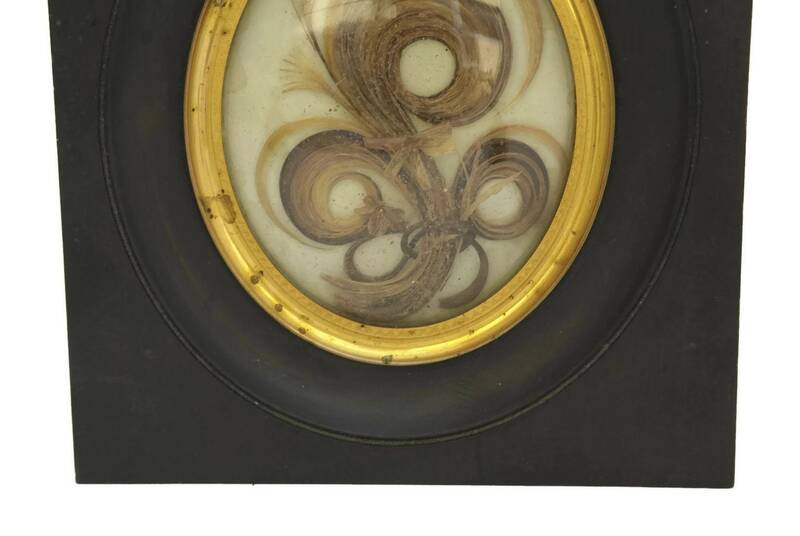 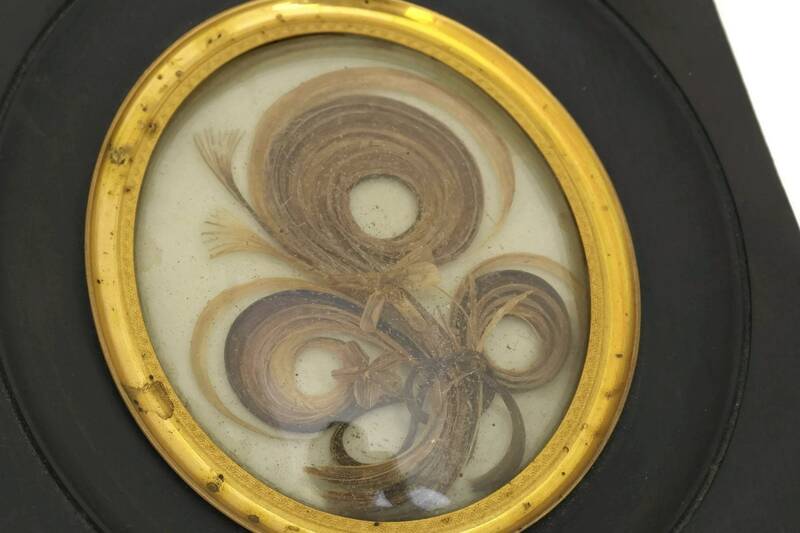 The interior features locks of hair that would have belonged to a loved one who had passed. 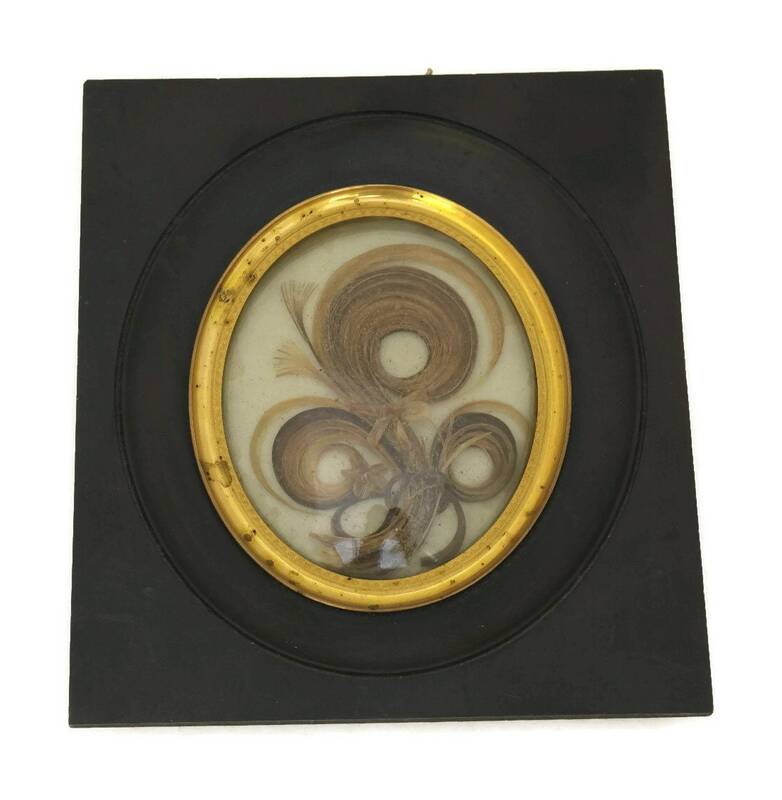 The hair is displayed against a grey background and framed under a domed glass in a black wooden frame. 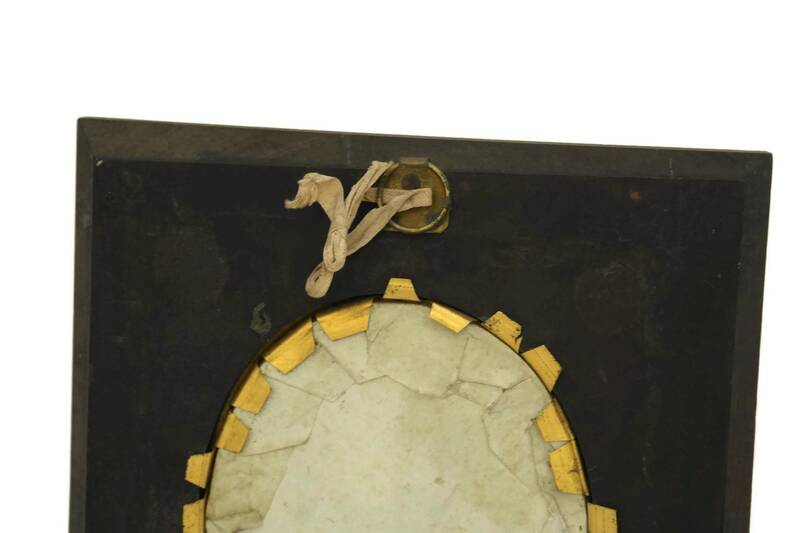 The reverse of the antique frame has a hanging ring. 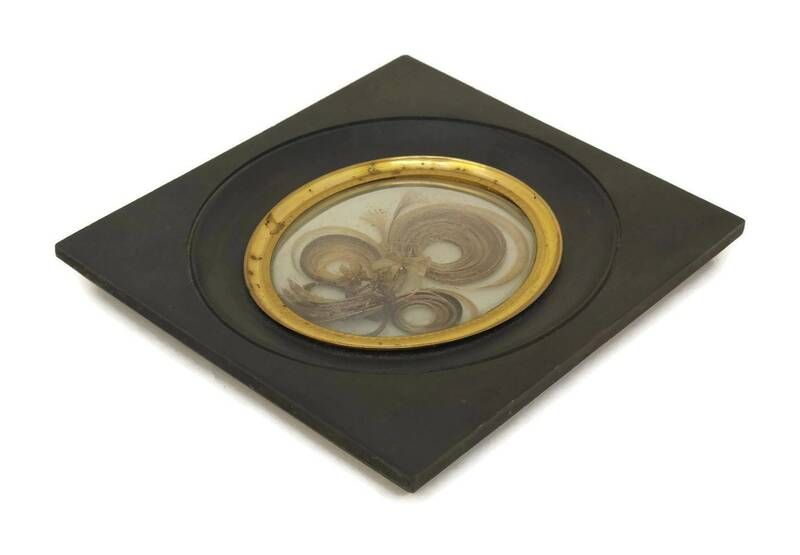 6.25 " Tall x 5.5" Wide. 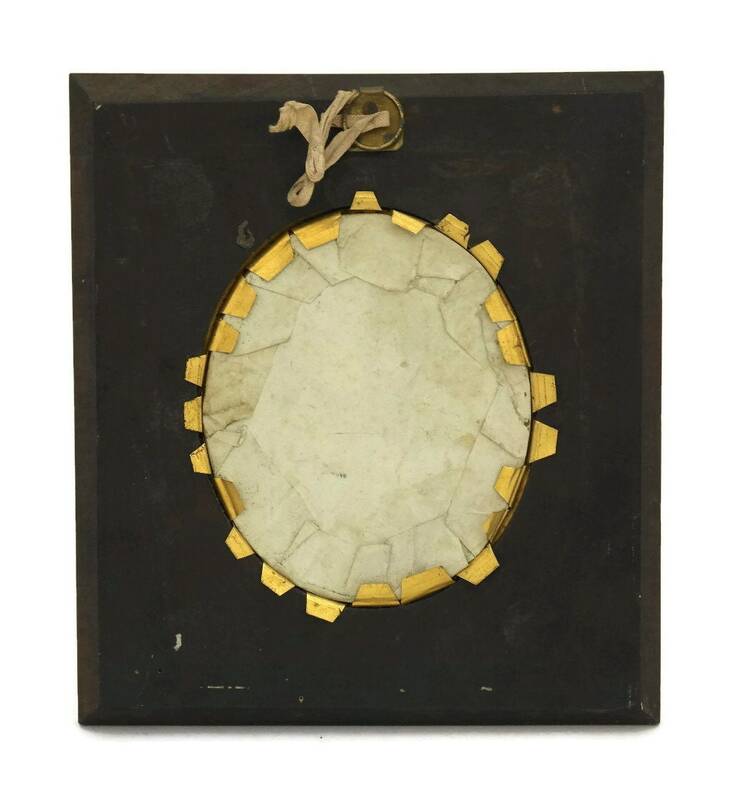 (16 cm x 14 cm). 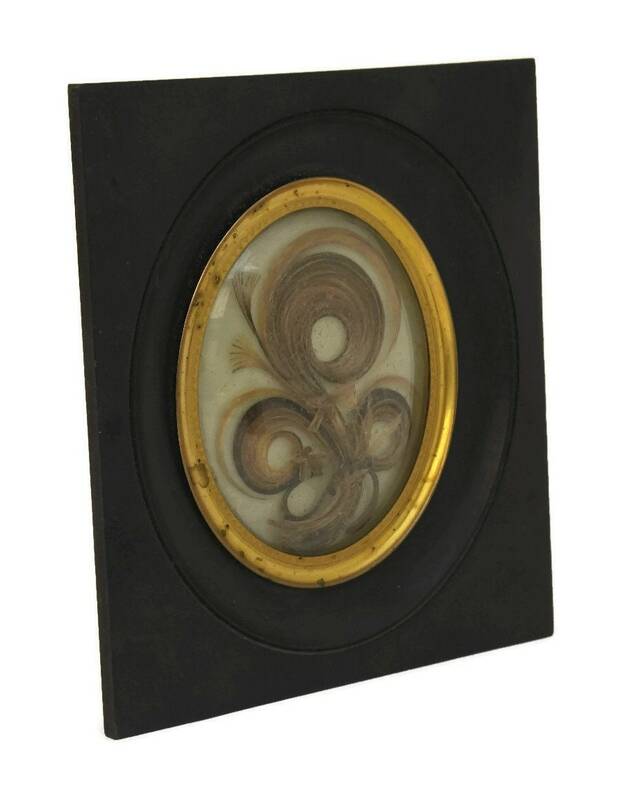 The antique relic is in good condition with some signs of age and wear to the frame. 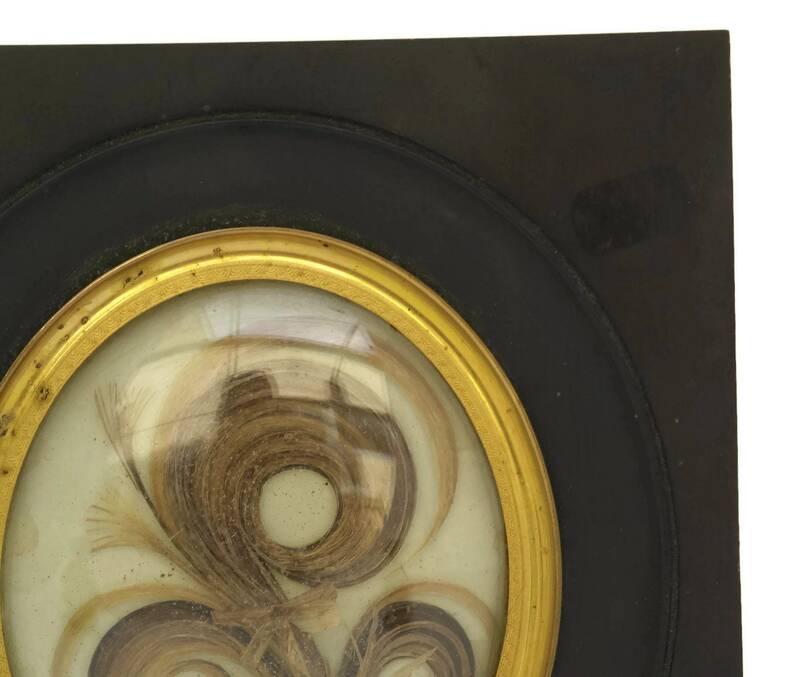 There are surface marks to the underside of the glass and the gilt rim.